Geodefense is a tower defense game for iPhone with a very unique graphics style and soundtrack which makes the game stand out from the crowd. 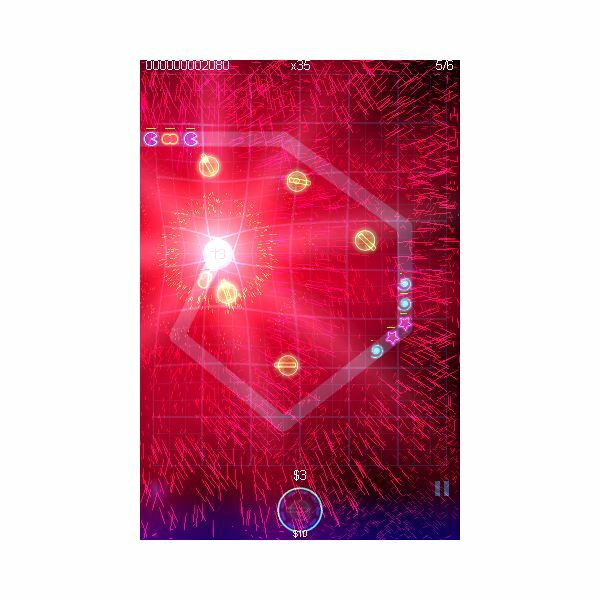 Produced by Critical Thought Games it is one of the most popular tower defense games on the iPhone, once becoming number 4 on Apple’s Favourite Games List. However, Geodefense has a very steep learning curve and so this guide hopes to teach you the Geodefense solutions to help you beat the game and reach the higher levels. Geodefense currently has two different versions, Geodefense [Download Link] and Geodefense Lite [Download Link]. Geodefense Lite is free and has very limited content compared to the main game. If you are familiar with tower defense games then you will quickly be able to get your head around the gameplay of Geodefense. There are 5 different tower types you are able to place on the map in order to prevent the creeps from reaching the end of the path, each of the 5 towers is able to be upgraded up to 7 times and every tower type has different strengths and weaknesses. It is up to you to decide where and when you must place each tower in order to beat the game. 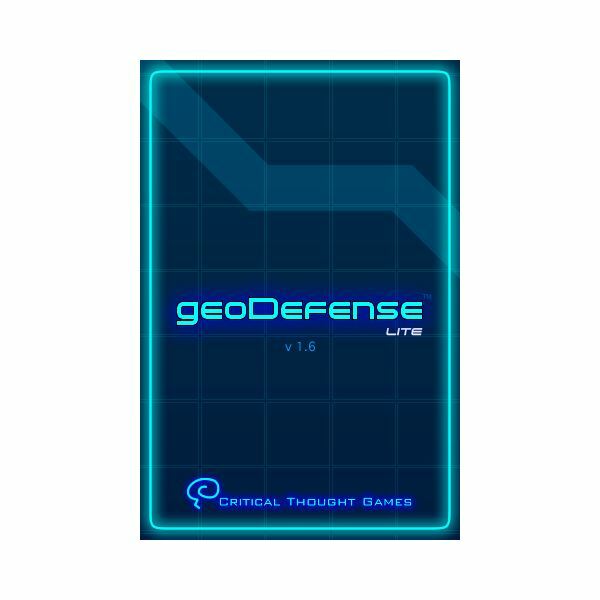 Geodefense has 30 levels and also has the ability to allow you to play your own music in the background of the game (personally I enjoy putting the Tron soundtrack on which fits very well!). 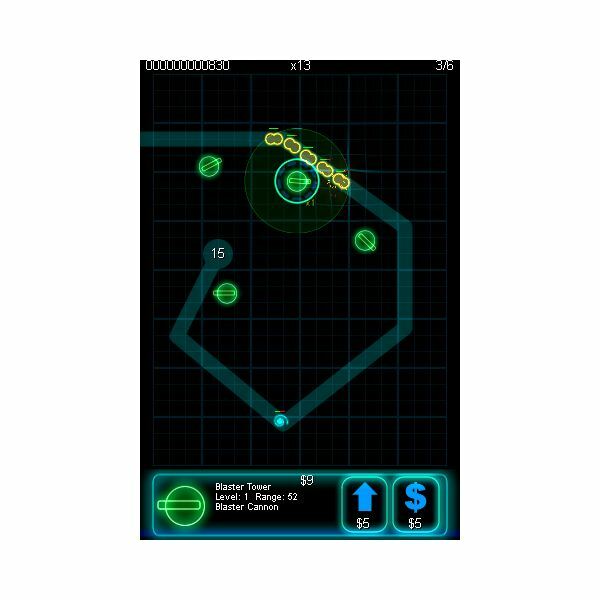 Geodefense is one the hardest tower defense games available for the iPhone, and with such a steep difficulty curve people are always looking for Geodefense solutions to help them beat the game, simply follow these hints and tips and you will soon find yourself succeeding at Geodefense. Always be sure to use your towers in the most effective way possible, for example placing a laser tower at the end of a straight path enables it to shoot straight down the path and hit nearly the entire creep wave at once. Once the laser tower has been upgraded a few times then you will soon find yourself wiping out entire creep waves in a single shot from a well placed laser tower. Nearly everything you do in Geodefense will cost you money, which should be used very sparingly to make sure you are getting the most out of what you spend. Money is earned by killing creeps and so the more creeps you kill, the more money you will have. Make sure you decide whether you want to upgrade a few towers to become very strong, or even take them to the maximum level of 7, or whether you want to build a huge amount of weak level 1 towers instead. Each of these solutions has its strengths and weaknesses but the usual rule to follow is that if you are facing lots of fast enemies then it is better to place many low level towers. Whereas if you are facing slow but strong enemies then it will usually be best to only use a few towers but upgrade them to a high level. The missile tower in Geodefense is one of the strongest towers in your arsenal, but an important point to note is that if your missile tower fires at a creep and the creep is destroyed before the missile gets there, then that missile will be wasted. Make sure you upgrade your missile towers so that you gain the tracking computer which will enable them to target a different enemy even if the missile is midflight. Another important point of Geodefense strategy to note when using the missile tower is that the level 6 missile tower has a small range and fast rate of fire, whereas the level 7 missile tower has a large range and a slow rate of fire. In some circumstances this makes the level 7 missile tower worse than the level 6 even though it is supposedly an upgrade! One of the most obvious and important Geodefense solutions is to pay careful attention to the tutorials given to you within the game. If on the tutorial window describing how to use the tesla coil tower you are able to see where they placed the tower, then make sure you follow the advice and place the tower exactly where they did. These tutorials have been placed into Geodefense to make your life easier so make sure that you use them. When you kill creeps in Geodefense you will gain point multipliers. These are a great solution to earn lots of points and reach the high scores. However, it is a very thin line to walk as you receive a higher point multiplier the closer the creeps are to the end of the path when they get destroyed, but of course should the creeps manage to reach the end then you will lose the game. There is a reason why Geodefense is one of the most popular tower defense games for the iPhone today, simply follow the tips, hints, and solutions above (along with a lot of practise) and you will soon find yourself winning even the final level of the game. If you are a fan of Geodefense, then you might also want to check out Bloons Tower Defense 4. Screenshots taken by author, Leon Eardley.